For parents new to school, the year’s rhythm might feel mysterious. Like many Buffalo schools, we are a large school, but we strive to feel small. Once your child begins, look to your teachers for ways to help orient your child in the classroom. Some of the classrooms hold family days and many invite parents to observe work periods or volunteer. Beyond that, the parent organization, known as the MCA, is your first resource for getting comfortable in our school. We have a parent room with materials and books about our school. We publish a newsletter and hold seminars for parents. We offer mentoring from experienced parents. We are here to help you. And we want everyone to feel they belong. To create our community, we have several groups that organize programs for students throughout the year. One program we are proud of is our Montessori Outdoor Learning and Education program, or MOLE. MOLE holds seasonal festivals in fall and spring on Saturdays. MOLE runs the school gardening program. MOLE also partners with our Farm to School program so that the vegetables we grow are used in school lunches. We also host evening events. Beyond Open House and the parent conference nights, there is a Wellness Fair, Edible Evening, a Book Bite and Movie Night, and our big spring fundraiser, the Annual Family Dinner and Basket Raffle in March. Each grade level has its own seasonal traditions -- from visits to local farms in the fall, to ski clubs, to camping at Letchworth or Whispering Pines, to spring picnics, and local history tours. Classes love to take walking field trips to the Main Library and to Canalside. 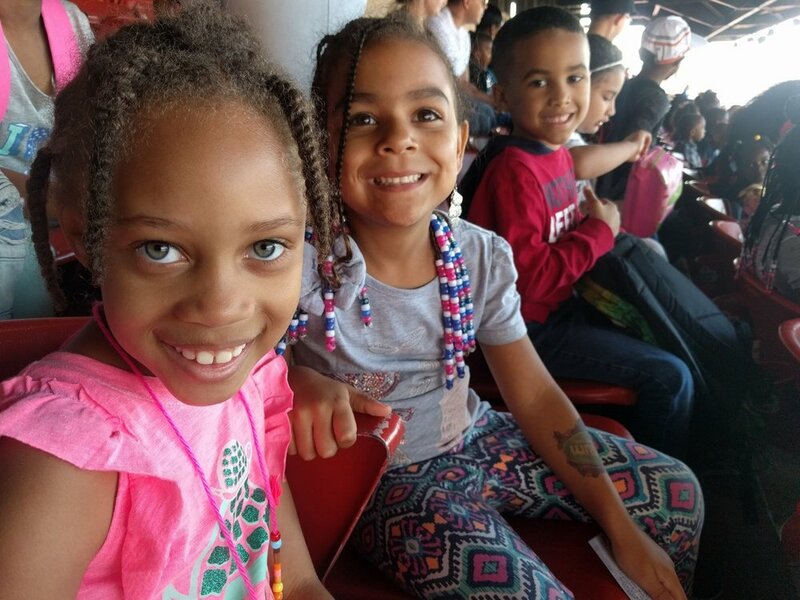 Many classes attend Kids Day at the Bisons baseball game in the spring or visit nature centers like Reinstein Woods. The junior high puts on plays in the spring. Last year they performed Beauty and the Beast, and the year before it was Annie. In February, celebrating Black History Month is a huge Bennett Park tradition. The whole school participates in programming and puts on a performance for parents with singing, African drumming, dubstep, step dancing, speeches, and spoken word. Bennett Park participates in the Farm to School program, which means that fresh foods are cooked at lunch times; we have a salad bar; and each month, a particular vegetable is featured which children are encouraged to sample. At school, we enjoy hosting James the Ice Cream cycle dude (read about him here) for an all-school Ice Cream Social to celebrate spring and again during the last week of the year. All our students get to hang out together on the playground those days. James often comes to our fall Open House, too, because he loves our students. Open House and Food Truck Night Come to school, eat something yummy, and meet your child’s teachers. Relax and hang out. Fall Fest October 9th, 12 - 3 pm. This event is full of small activities and crafts for children to do, music, live animals, outdoor play and lunch. Spirit Week ends with Dress up Day on October 31. Author Day November 7th or 8th. This is a new tradition for Bennett Park, and each year we host a children’s book author for a day at our school, who talks with students about writing and creativity. Edible Evening January. Come to school for a night of wellness. There’s kickboxing, make-a-soup kit, and other fun activities. Ski Club Students in 2nd grade and up may sign up to go skiing at Kissing Bridge for 8 Tuesday nights in January and February (bus transport and chaperones provided). Black History Month. February. Performances fall near the end of the month. Annual Family Dinner and Basket Raffle March. Come eat spaghetti with Montessori families and participate in our basket raffle. This is a major school community event: NOT TO BE MISSED! We always enjoy seeing alums of the school and their families. Book, Bite & Movie Night April. Read a book (free, provided at school) at home and come watch the movie at school. MOLE Spring Fest and maypole celebration. May. Fun, food, and animals to pet. Ice Cream Social with James. Class Field Trips usually take place in May or June.